Ault Park has always been a focus of Wimberg’s charitable contributions, be it materials or labor for nearly 20 years. Recently we added one more area to our list at the park, the Viburnum Garden. Running along the length of the great lawn garden and adjacent to the secondary walk in the Adopt-a-Plots, the Viburnum Garden is a long, incredibly lush, or shall we say overgrown, shade garden. Jennifer Smith a member the the Ault Park Advisory Council (APAC), new leader of the Adopt-a-Plot gardens and horticulturalist with Wimberg Landscaping is heading up the renovation and continued care of this great garden space. The first step in tackling the garden makeover was some much needed pruning and removal of dead, damaged and rubbing limbs within the shrubs. Many shrubs, viburnums included, can be cut back for complete rejuvenation. However, we opted for a slightly restrained approach. We left some of the new shoots and attractive limbs for spring flowering. Once the perennials emerge to add visual interest, more pruning may take place. To completely cut back all of the shrubbery would have been a bit too dramatic and taken away its appeal: a place to take a garden stroll in the cool shade of the Star Magnolias and viburnums while enjoying a variety of shade loving perennials. 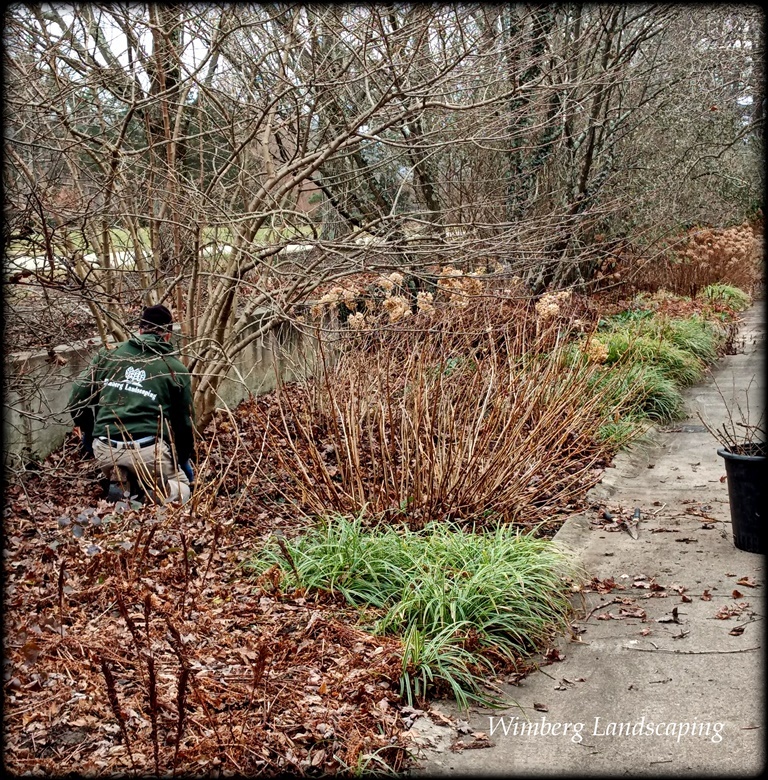 “Simply opening up the viburnums so visitors can see the perennials in the beds will be wonderfully impactful in the garden. Come spring, we’ll edit some of the overly repetitive plants and intermingle new perennials that will, we hope, inspire visitors to add new plants into their own gardens,” shares Jennifer Smith. In the meantime, as we await the true spring to arrive, not this false winter-spring, we will prune and manicure the shrubs improving the aesthetics of the garden before the first spring bulbs begin to emerge.